Choose the location that's right for you! 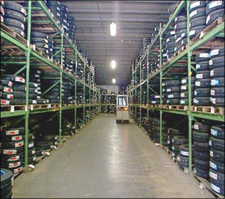 Henise is proud to offer a complete line of tires for wholesale relations. We offer daily delivery throughout most of central Pennsylvania. Orders received by 9:00 am Monday through Friday will receive same day delivery. Some areas receive delivery twice a day. Please call to see if that service is available to you at (717) 272-2051. Our sales staff is here to answer your calls. Please allow us to earn your business! Search through our entire inventory with ease and order online at your own convenience with our e-commerce site. Road hazard warranty on most Summit tires.